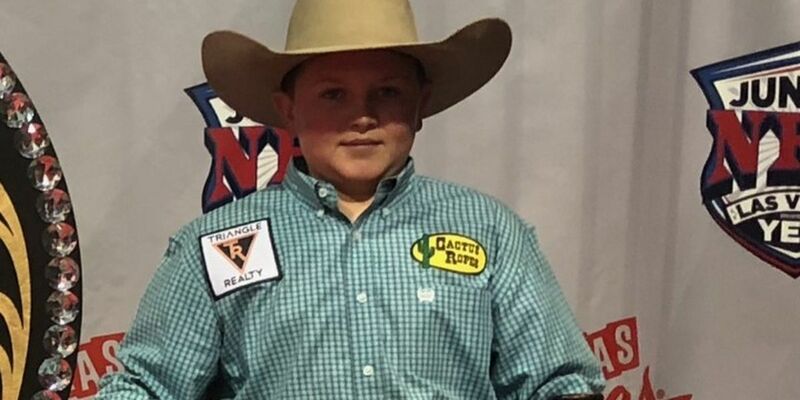 CANYON, TX (KFDA) - A sixth grader at Canyon Intermediate School won the World Jr. National Finals Rodeo team roping competition. Tate Thompson competed in Las Vegas in December with his partner Caden Tinsley of Midland. The pair faced off against 14 other top teams in the 17 and under age group. Thompson won an average gold buckle for best average and a world gold buckle for being the top competitor in his age group in the world.